The VZ Holden Commodore range was initially introduced in August 2004 as a minor facelift of the 2002 VY. In January 2006, the range was slightly restructured to comply with Euro-4 compliancy, and in preparation for an all-new Commodore in the second half of the year. The VZ sedan models, were replaced by the VE Commodore in August 2006. The WL LWB models replaced by the WM in September 2006. VZ Wagon, Ute, Adventra, Crewman variants stopped production in September 2007. HSV launched October 2004 at Australian International Motor Show. Sedan models replaced by the E- Series in August 2006. Maloo replaced in October 2007. Coupé and wagon models discontinued. The Dealer Team Spec package is available as an option from August 2005, on six-speed manual transmission versions of the 6.0 litre V8 ClubSport, ClubSport R8, GTO Coupé, Maloo and Maloo R8 models. Executive & Acclaim available in any colour except Impulse Blue. SV8 only available in Quicksilver, Phantom or Redhot. Impulse Blue & Heron White available from February 2005. S & SS available in Heron White, Quicksilver, Phantom, Redhot or Impulse Blue. Berlina & Calais available in any colour except Redhot or Impulse Blue. 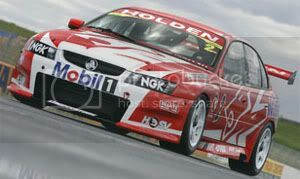 The Holden factory team in both the 2005 and 2006 V8 Supercar seasons, Holden Racing Team, had two VZ Commodores. #2 Mark Skaife, #22 Todd Kelly. Information above, is when relevant models were released. Prices are base price. V8 engine power and torque figures quoted with PULP. 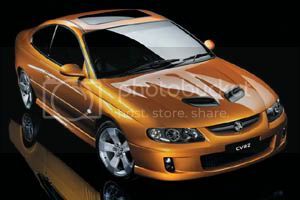 Images sourced from Holden & HSV unless otherwised stated.